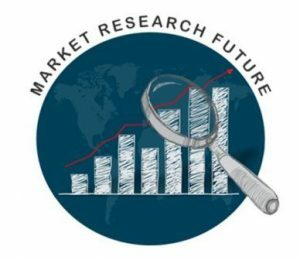 Market Research Future published a research report on “Global Electrostatic Discharge Packaging Market Research Report – Forecast to 2023” – Market Analysis, Scope, Stake, Progress, Trends and Forecast to 2023. Electrostatic discharge (ESD) packaging includes range of distinctive feature packaging products for protecting electronic items especially static items by ensuring the integrity of the products contained within the pack. The growth of global electrostatic discharge packaging market can be attributed to the growing demand of electronic devices, which has propelled the need for the miniaturization of electronic devices thereby directly driving the market growth. In addition, recently there has been an increase in the demand for mobility in electronic devices. To be portable and cost-effective, devices need to be lightweight and small. As a result, the increased demand for mobility has translated into a trend toward the adoption of smaller devices. The global electrostatic discharge packaging market is expected to grow over the CAGR of around 8.2% during the period 2017 to 2023. To provide detailed analysis of the market structure along with forecast for the next 10 years of various segments and sub-segments of the global electrostatic discharge packaging market. To analyze global electrostatic discharge packaging market based on various factors- price analysis, supply chain analysis, porters five force analysis etc. To provide historical and forecast revenue of the market segments and sub-segments with respect to four main geographies and their countries- Asia-Pacific, North America, Europe, Rest of World. To provide country level analysis of the market for segment by product, by end user and by region. To track and analyze competitive developments such as joint ventures, strategic alliances, mergers and acquisitions, new product developments, and research and developments in the global electrostatic discharge packaging market. Asia-Pacific is expected to dominate the electrostatic discharge packaging market during the forecast period. The presence of huge number of electronic manufacturers in countries like China, Japan, South Korea and Taiwan is the major driver for the growth of electrostatic discharge packaging market in the region. Asia Pacific is expected to be followed by Europe and North America, where the contribution of U.S. is anticipated to be more. The report for Global Electrostatic Discharge Packaging Market of Market Research Future comprises of extensive primary research along with the detailed analysis of qualitative as well as quantitative aspects by various industry experts, key opinion leaders to gain the deeper insight of the market and industry performance. The report gives the clear picture of current market scenario which includes historical and projected market size in terms of value and volume, technological advancement, macro economical and governing factors in the market. The report provides details information and strategies of the top key players in the industry. The report also gives a broad study of the different market segments and regions. We are thankful for the support and assistance from Global Electrostatic Discharge Packaging Market Research Report – Forecast to 2023 chain related technical experts and marketing experts during Research Team survey and interviews.